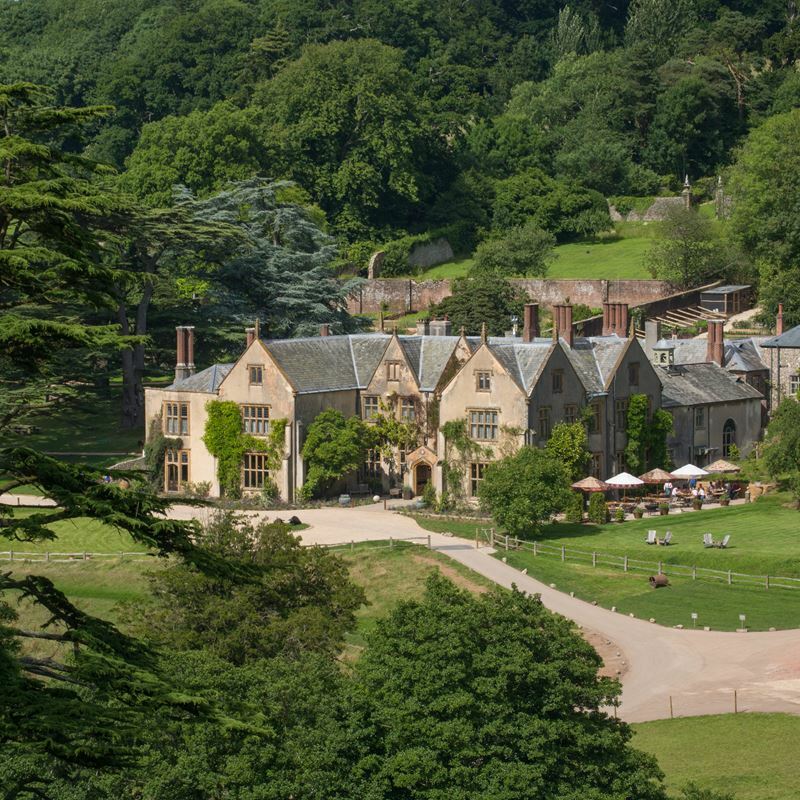 Ed whisked me away for my 40th in November to The Pig at Combe, a luxury hotel in Devon, and the newest member of the Pig litter. Years ago, pre kids, we had a lovely dinner at The Pig in Brockenhurst in the New Forest. We’ve also had a brief stay at the small but charming Pig in The Wall in Southampton. I was thrilled at the prospect of properly soaking up the country house hotel Pig experience for the first time. The long drive leading up to the hotel is pretty awe inducing. 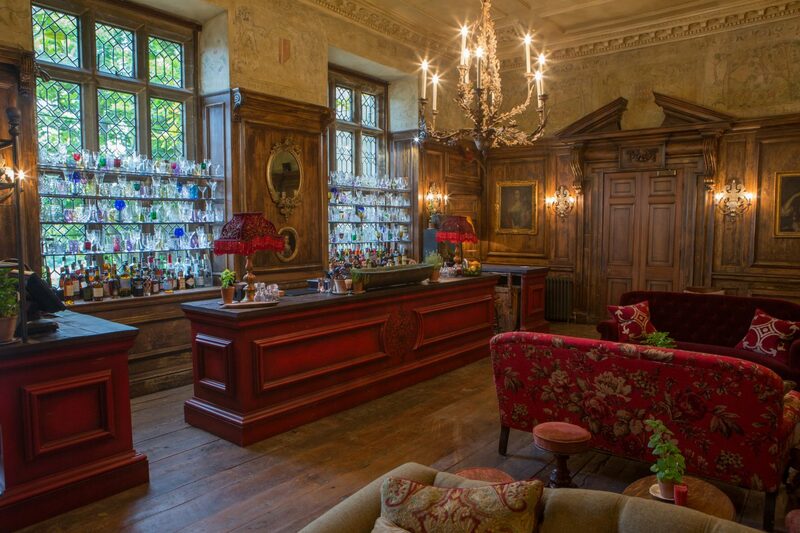 The curled lane slowly draws you up to the Elizabethan, ivy-clad manor house. It’s beautifully romantic, set in thousands of acres of gently rolling hills. Cows and sheep were meandering peacefully around. It was also quite misty when we arrived, which added to the perfection. Possibly the best bit was we left the kids behind with grandparents, so we had two whole child free nights. Sadly, the grandparents were wild-eyed husks when we returned and said never again, but that’s another story. On arrival at the hotel, you enter into a spacious, atmospheric wood-panelled bar, with beautiful leaded windows, huge open fire and comfy oversized jewelled coloured sofas. It’s such a gorgeous room that I could quite happily spend all day there, curled up with a magazine and a revolving tray of cocktails. There are other cosy, smaller sitting rooms off the main bar which also have fires and amazing views of the Devonshire countryside. The staff are great, very friendly and have time to chat to you about local towns and places to visit. Nothing feels hurried. When I was daft enough to leave my bracelet in our room after we left, they quickly posted it back to me (thanks guys!). The restaurant has huge shuttered windows, again with lovely views. It’s sympathetically restored, with lots of stripped wood, muted colours and is airy and modern. The main breakfast is expensive, but you can also go for a continental buffet selection which is a much more reasonable £11 per head. As with all Pig restaurants, if they can’t source the produce from their own gardens, it will be bought from local suppliers within a 25 mile radius. 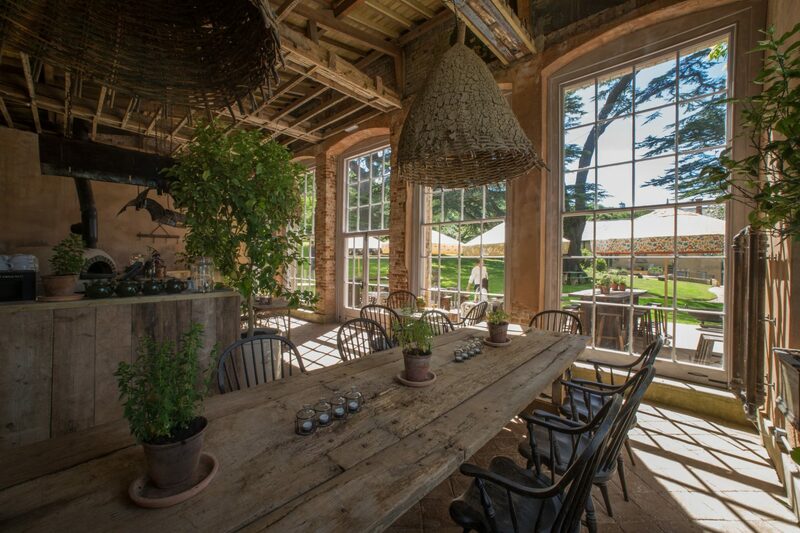 There is another restaurant space in the garden, The Old Folly, (photo above). It’s stunning and would be perfect for a private party. A special mention has to go to the Potting Shed Spa. Ed and I had the hot and cold stone massages (I wimped out of the cold stones bit as it was freezing outside). I can hand on heart say it was one of the best massages I’ve ever had. I think I grunted in an unladylike fashion as I drifted between total bliss and relaxation to stupor. There are 17 bedrooms in the main house, we were in number 17, which I can heartily recommend. It had a freestanding bath, huge super king size bed and views over the gardens. It even has an intriguing gilt edged mirror which turned out to be a TV. It’s a beautiful, spacious room and felt like a huge treat. There are also cottages on site and family rooms, worth checking out if you’re travelling with kids. Personally, I see this place as more suited to couples, if you’re lucky enough to have someone who will look after them while you gallivant off. But if not, the hotel is kid-friendly, with a dedicated menu, high chairs, etc. The local town of Honiton, only a few minutes drive away, has plenty of antiques shops if that’s your thing. We had a lovely morning wandering round them arm-in-arm in the torrential rain, in between ducking into cosy coffee shops to refuel. When I told a friend I’d been taken to The Pig for my birthday she called me a “lucky sow”, which is bang on. Our visit passed in a flash and we really didn’t want to leave. If you have a special occasion coming up, book it. You’ll have an amazing time. 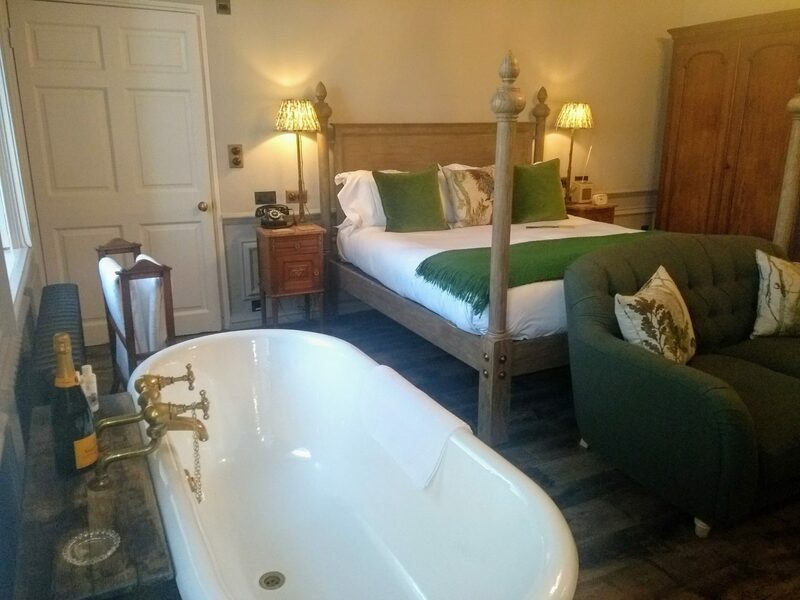 There are currently deals on offer for this luxury hotel in Devon, with a small “cheap and cheerful room” for £145 per night, midweek. And – exciting news for London/Southern folk – there will be A Pig in Canterbury soon! This old sow hopes she can find an excuse to squeeze in a visit this year. Enjoy this post? You might also like to check out my review of The Ickworth Hotel in Suffolk. This looks like a gorgeous place to stay. The spa sounds good too.